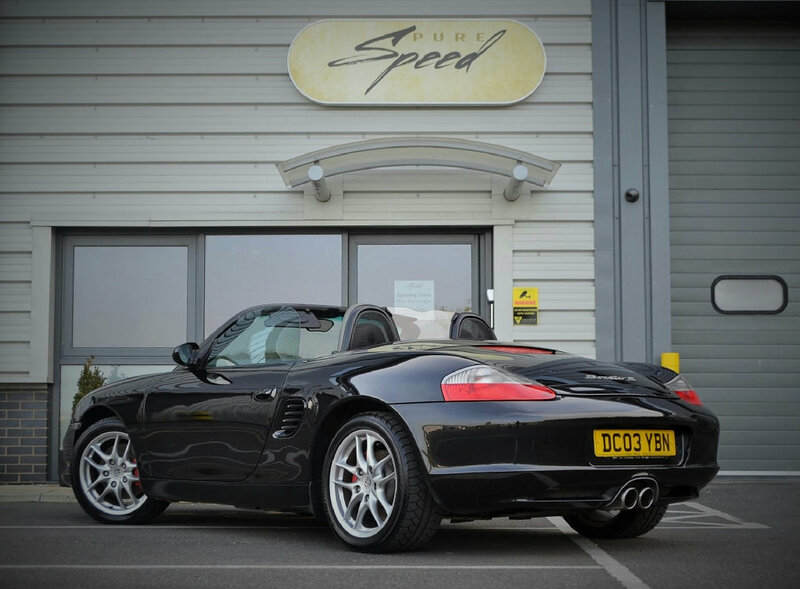 Boxster 3.2 S engine problem! Misfiring? 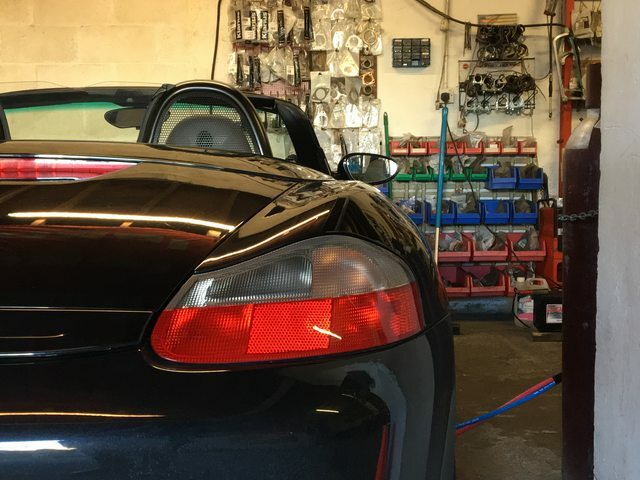 UPDATE: Boxster 3.2 S engine problem! 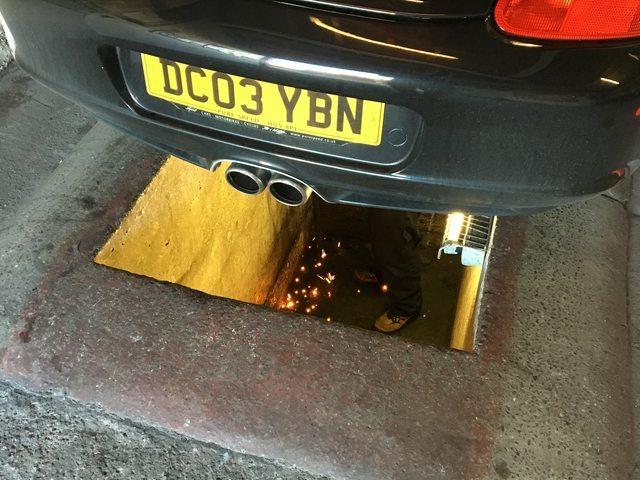 Exhaust blow? I've had this problem for a few days now. Driving the car normally, it's fine. I can take the car up to the red line at running temperatures and it starts fine, but a couple of minutes of hard driving and the engine sounds AWFUL. It's clearly heat based, and I think it's ignition related, otherwise it would happen all of the time. I'm getting no CEL's or any errors from the OBD2 port of any kind. First thing I noticed was that Cylinder 6 had no orange rubber on the plug. I managed to find one from an old HID kit, so I fixed that. A friend has given me 6 coil packs and 6 spark plugs to try out. I only had time to replace the one pack, the one shown above. But it didn't fix it. But, even with a replacement coil pack to replace this one, it's still misfiring. I managed to get a video after pulling over immediately after driving hard. You can hear it in the start of the video, and then (as the engine starts to cool), it eventually goes back to normal. But in the meantime, what do you guys think is the issue? Also, can someone confirm that the issue as described (and as shown quite poorly in the video, sorry), that this is probably a misfire? I originally thought the exhaust was blowing, but surely it would happen all the time and, if anything, go away if the exhaust got hotter? Last edited by geraintthomas; 01-07-2016 at 02:20 PM. Sounds like a fuel supply problem to me. Okay. Even if it's only after a short period of driving hard, and fine every other time? Change the spark plug on that bad cylinder. 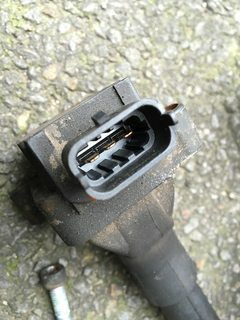 It is probable the plug has carbon tracks due to the previous bad coil pack, this will cause the plug to misfire along those carbon tracks. Under hard acceleration the air fuel mix is more dense and harder to ignite, which requires more voltage to jump the plug gap. This increased voltage then travels the carbon tracks. Give this a try. PS After a few hours rest (from New Years celebrations) I should have said the increased resistance from Fuel /air in the cylinder causes the spark to travel the lower resistance carbon tracking from the previous misfiring. Given the amount of oil gunk there, I'd change the plug tubes and o-rings as well. May have nothing to do with your misfire, but it can't hurt either. Perfect. I'll certainly give it a try! I didn't manage to do the plugs as I didn't have a medium extension for the socket set. I only had a long one which is fine for cylinders 2, 3, 5 and 6, but for 1 and 4 it was too long. I didn't want to mix the plugs either as the BERU ones had 4-points on them, and the temporary replacements I have are NKG 3-points. Wasn't sure if you could mix them, so I didn't change them at all. I've got the extension now so I'll get right on it weather permitting! I didn't think the later 3.2 S engines had tubes? Depends on the year of your car. As for plugs, just buy the Bosch platinum. Theyou are the best. Model years 2003 & 2004 don't have replaceable plug tubes, 1997-2002 do. 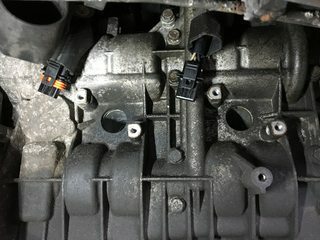 Update, coils and plugs did not fix the issue. 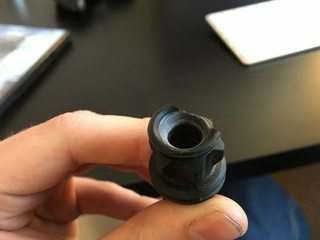 I've managed to record a much better video of the problem. Here's a video from inside the car, and another revving with the camera by the exhaust. Honestly to me that sounds like a blow in the exhaust, even though it only happens when warm. 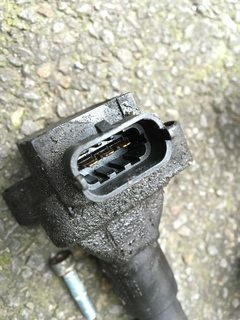 Seems to be coming from the N/S, exactly where a loose oxygen sensor was in the exhaust. Last edited by geraintthomas; 01-07-2016 at 02:21 PM. So a couple of things it could be. I originally though it was the CAT but have been told that it would definitely product a fault code if it was. Other options are a blow somewhere else in the exhaust system, such as on the flange. 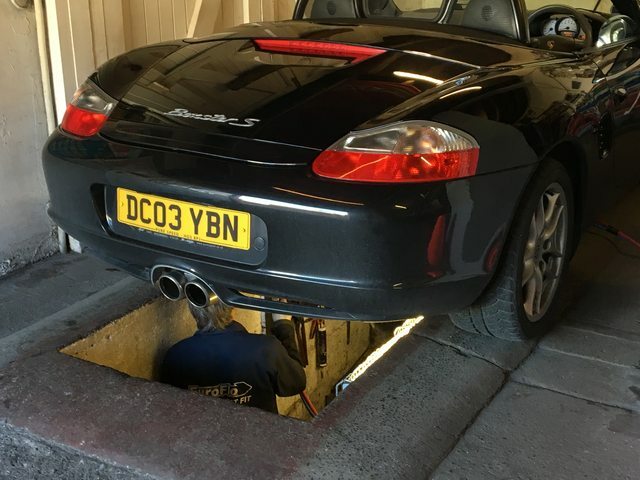 I'll just have to take it into an exhaust garage to check over, but I'm worried as it only happens when it's after a hard drive and quickly disappears after driving carefully. I don't want them to look at it and not be able to diagnose it! Took it to an exhaust garage and they spotted the problem instantly. 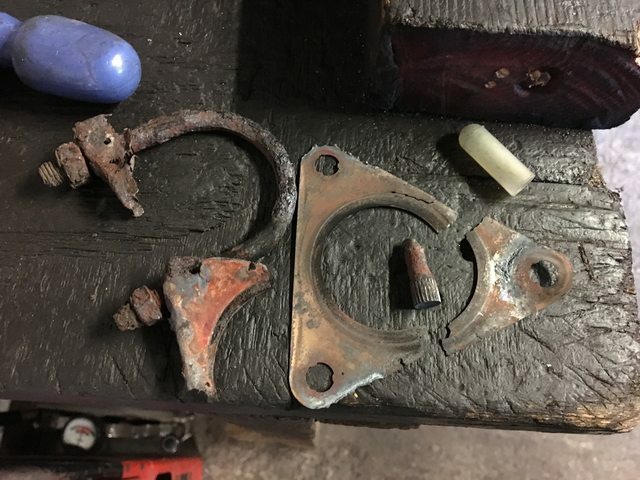 The join where the headers join the exhaust has a gasket which is ruined, and is hanging from one of the bolts. You could feel the blow straight away from it, and the rattling is the gasket rattling around hanging by a thread. "Ohh I don't know, I mean you're talking around... £30?" Thanks for the help though guys, much appreciated. The problem was a single exhaust gasket linking the downpipes to the cat. He replaced both sides anyway, and replaced a couple of U clamps as they were rotten. Did everything, labour and parts included, for £30 very happy! Last edited by geraintthomas; 01-14-2016 at 07:47 AM. Good to hear it was a cheap fix! What kind of exhaust set up do you have? 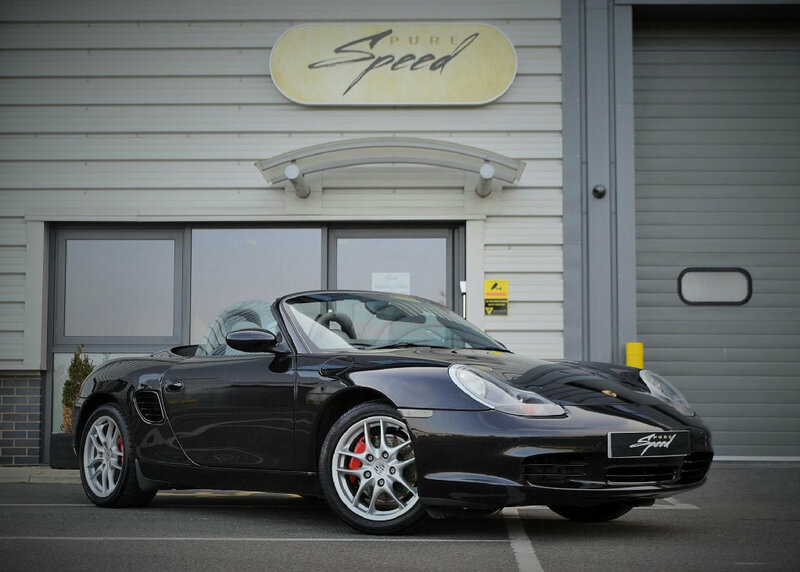 After seeing your RHD box, I wonder if a LHD to RHD conversion is a huge pocket hitter?....... that'd be unique in the us. Last edited by Dubaday; 01-14-2016 at 08:44 AM. Interesting, why would you want to get a conversion? Well, my first drive in a RHD car was my buddy's 96 civic. I admit, it was difficult getting used to sitting on the "passenger side" and shifting with my left hand, but after a few miles driving, I started to really enjoy how unique the driving experience was. And that was a civic, I can't say that I've ever seen a Porsche here in the US with a RHD, nonetheless a Boxster.